A prime contractor for the Department of Homeland Security needed mobile workforce housing that could hold-up to frequent relocation along the United States border. The Department of Homeland Security needed workforce housing for border patrol agents, but traditional mobile housing options were not as secure as the agents would have liked. Additionally, mobile homes quickly fell out of repair over the course of frequent moves. The space needed to be secure and durable, yet mobile and comfortable. Easy-to-use utility connection ports for electricity and plumbing. Kitchenette and living room areas. 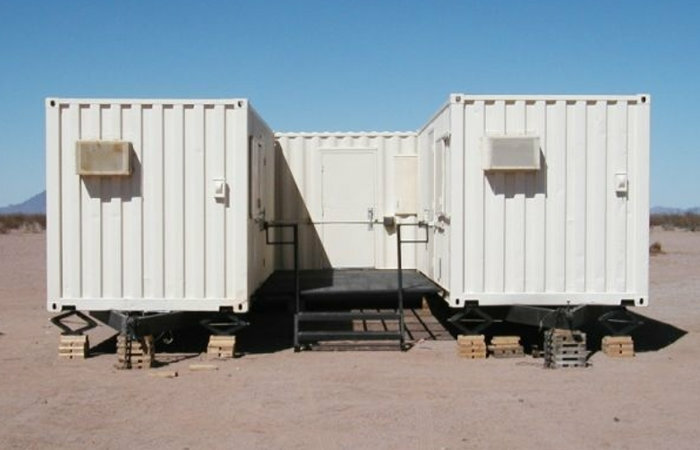 Falcon Structures transformed three 20-foot shipping containers into transportable border patrol housing that was more secure and durable than mobile housing. One unit became a bunkhouse for six. The other two units became restroom, kitchen and living room facilities. We mounted the three units onto custom chassis to enable regular relocation. 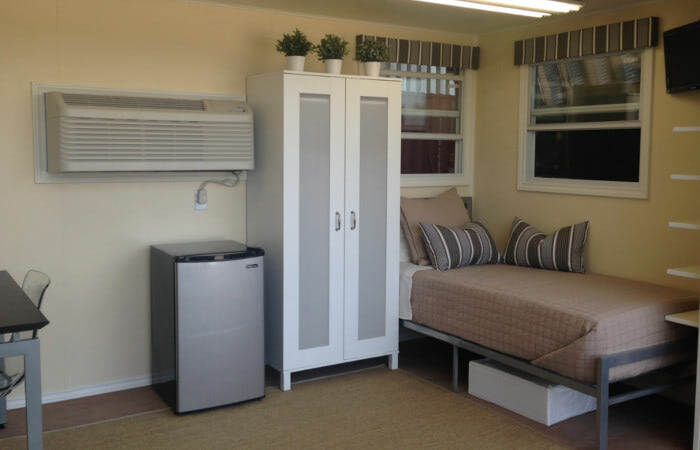 Have a question about mobile workforce housing? Contact us at 877-704-0177 or email sales@falconstructures.com.